Editor’s note: This is the second installment in An Xiao’s series on the development of Social Media Art. Part One appeared on Monday and Part Three on Friday. In November 2008, halfway around the world in Mumbai, Twitter finally reached the general public consciousness, as reports came in about its remarkable use in the rescue and reportage efforts. And earlier that summer, Facebook had reached its first 100 million users, and more established names in the art world were starting to notice. Lehman Bros. fell, a surge of newly unemployed went online to seek jobs and find solace, and America elected a tweeting, texting and YouTubing President. 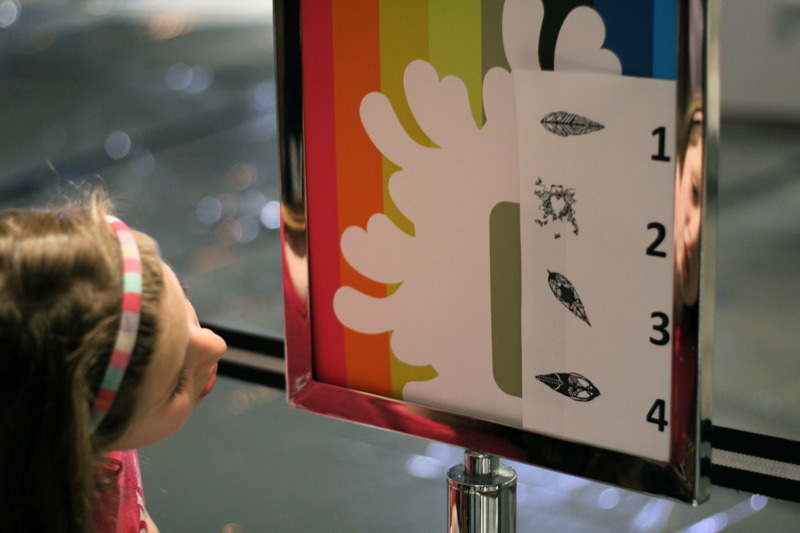 A young girl looks at the 1stfans sign during their launch event in January 2008. It was also the year, according to the New York Observer and the Brooklyn Rail, when New York magazine art critic Jerry Saltz first logged onto Facebook, where he regularly engages online conversations with thousands of people by turning his wall into an open forum. In January 2009, the Brooklyn Museum launched 1stfans, the museum world’s first socially-networked membership. As part of the program, they kicked off @1stfans, a members-only Twitter art feed curated by Eugenie Tsai, and they selected me as the first artist. Obviously a personal milestone for me, 1stfans was also an important milestone for social media art: a major arts institution not dedicated specifically to technology began commissioning social media art. The social, Web 2.0 Internet, once the stereotyped province of angsty Livejournal-ers and geeky Usenet users, was finally and quickly entering mainstream consciousness. It only made sense that the art world would respond. 1stfans, of course, was both a beginning and, as we saw, a continuation. It introduced to me a wave of commissioned artists willing to utilize mainstream social media as a canvas, most frequently for performance. 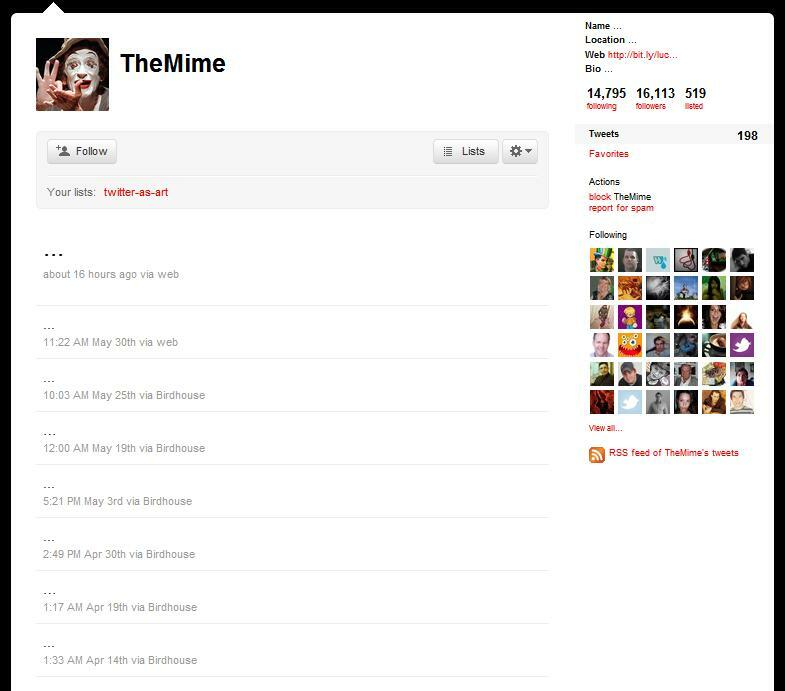 While some 1stfans artists seemed to dabble in Twitter as a medium, a number used the feed as part of a larger social media practice. I was struck in particular by the work of Los Angeles-based Lauren McCarthy, who constructed a special phone for her shower performances, questioning notions of public and private, and Ranjit Bhatnagar, who adapted an early net.art project of his by crowdsourcing a sonnet via Twitter, rather than email. I was soon inspired in March 2008 to found @Platea, a social media art collective named after the Latin word for “street.” I wanted to see the potential of social media art and explore my emerging belief that mainstream social media, particularly those that utilize a news feed as a one-stop area for updates, represent a new form of public space and therefore an opportunity to develop a new form of public art. 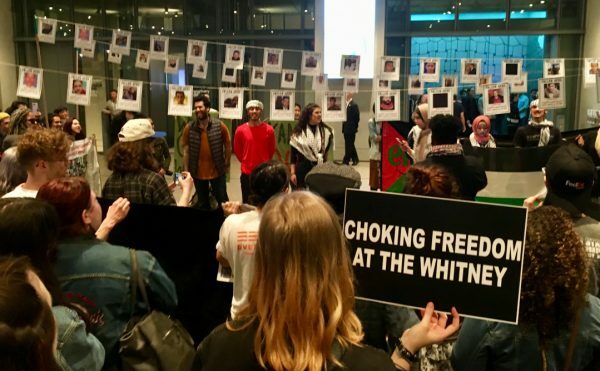 It was through this work that I met Christi Nielsen, whom I interviewed in the previous section, when she joined the collective’s steering committee. I also began seeing more and more social media feeds dedicated specifically to a conceptual art project. Keytweeter, which I discovered via Rhizome, continued in the vein of Eva and Franco Mattes’s “Life Sharing,” wherein literally all of the user’s keystrokes are sent out into the Twitterverse, a vision of perfect transparency. 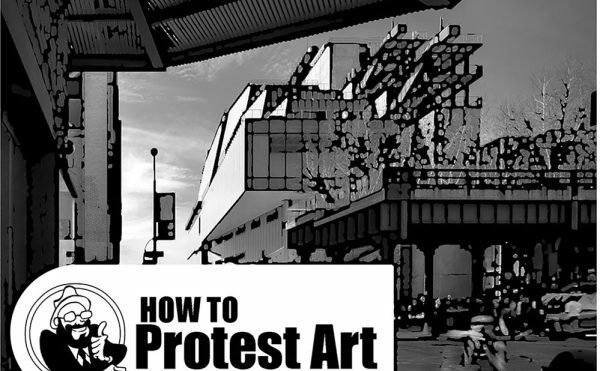 Other conceptual projects like @injuries and @themime opened the door to conceptual art regularly appearing in our feeds with the same mixture of anonymity and ubiquity found in street art. And, in the world outside Twitter, San Diego artist Brad Troemel’s “Jogging” has presented projects like “Perfo Rmanceart,” where collective members flooded the Facebook page of the Los Angeles County Museum of Art and other museums with images of their work, transforming them into a sort of flash gallery online. In the Tumblr-verse, Brooklyn-based Nina Meledandri ran a feed on 1stfans that expounded on the collective energy of digital response and reference that she built with her Tumblogs. More established artists have begun entering the social media realm. 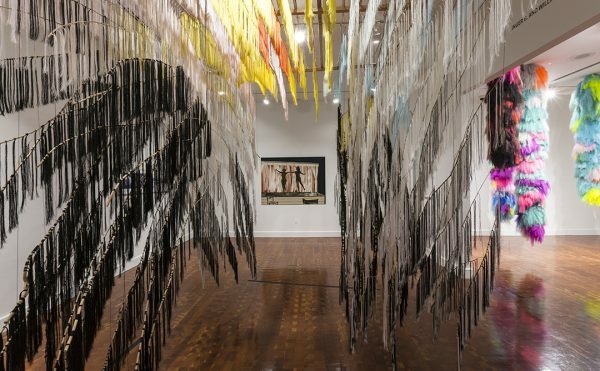 Brooklyn artist William Powhida, well-known for his mercurial art persona expressed via his blog, joined forces with conceptual artist Jennifer Dalton to present #class. 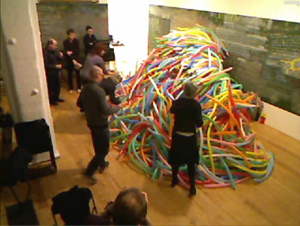 The month-long symposium at Winkleman Gallery, of which I took part, was simulcast on ustream.tv and Twitter, making it accessible and engaging to artists outside New York City. Across the ocean, London-based Yoko Ono, the most popular contemporary artist on Twitter with close to a million followers, kicked up her social media efforts with #YokoQandA and participatory Facebook and Flickr albums. While rich in hashtags and invitations to engage, the lack of @replies and a personal voice give the feed a more broadcast-like quality, suggesting the work of assistants rather than the artist herself; nevertheless, her presence is notable, if only because it draws attention to how few established artists are active on Twitter. 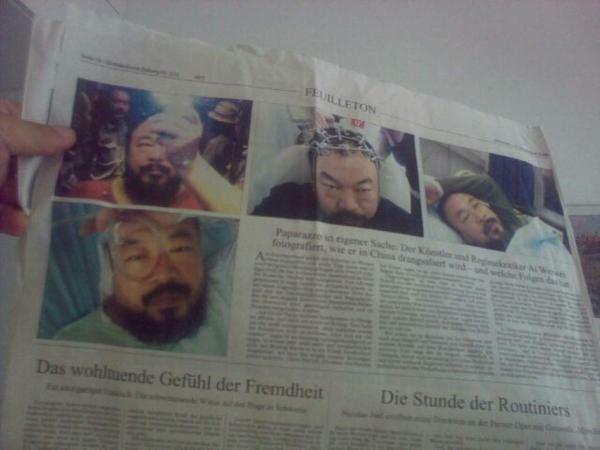 A sample Twitpic from Ai Weiwei during his recovery. How the Heck Do I Know If It’s Good?